I. What is a Motto? A motto is a brief statement that summarizes the purpose or beliefs of a family, organization, or individual. A motto is not just a quote that you believe in, though – it’s an official statement like a logo or mission statement that summarizes the character of the person or group. This is how a motto differs from a slogan: a person or group can only have one motto at a time, but they may have many slogans. Other than that, mottos and slogans work in the same way. This famous Latin phrase means “out of many, one.” It was the motto of the United States until 1956, when the motto was changed to “in God we trust.” This was just 2 years after the words “under God” were added to the Pledge of Allegiance. Many people still prefer the old motto because it expresses a message of pluralism, but so far there is no sign that the motto will change in the near future. Of all the national mottos in the world, this one is among the most unusual. It is the only one-word motto in the world, and it indicates the importance of weather in an agricultural country like Botswana. Located in southern Africa, this large country receives relatively little rainfall throughout the year, and so the motto serves almost as a kind of prayer. In addition, rain is a symbol of good luck in the local culture. This French phrase means “liberty, equality, brotherhood,” and it was the motto summing up the demands of the French Revolution. Protestors throughout history have selected such mottos, but it’s pretty rare that they ever become official national mottos. In this case, it has become the motto of both France and Haiti. Mottos originated with heraldry, starting in the ancient world but really coming to fruition in the High Middle Ages. In this time period, noble families were given a coat of arms, which would include various symbols such as colors, animals, weapons, etc., to represent the family. Somewhere on the coat of arms there would be a motto, often in Latin or the ancestral language of the family. This motto would express the particular priorities and history of the family – religion and politics were deeply entwined in these mottos. Today, most families do not have mottos (at least not officially), and heraldry is no longer as important. But many individuals still choose mottos for themselves as a way of expressing what they believe in. In George R.R. Martin’s Song of Ice and Fire, many families are competing for the throne of Westeros, each with its own motto. The Stark family, for example, has the motto “Winter is coming.” This motto expresses the vigilance of the family as they watch over the frozen tundra of the North. This clever line may or may not have been Wilde’s actual motto, but he certainly came up with it and many other people adopted it as a motto. If you were a child in the 1990s, this may have been your first introduction to the concept of a motto. In the movie, Timon and Pumbaa live a carefree life in the jungle. 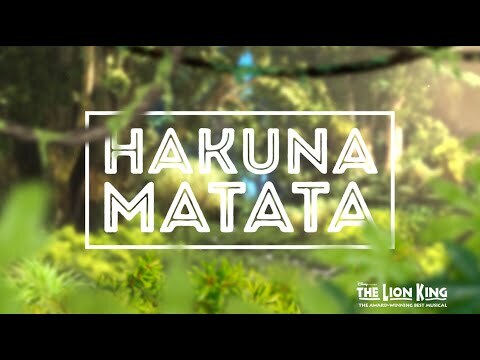 Their motto, Swahili for “no worries,” forms the basis for one of the movie’s most popular songs. A maxim is a brief statement that expresses a general truth or a rule of conduct. Thus, a motto is one kind of maxim – it’s the maxim that an individual or group has chosen to represent themselves. Credo means roughly the same thing as motto. However, in some cases a credo could be a little longer – a list of beliefs, say, or an extended oath. But a motto has to be very short. In Hinduism and Buddhism, a mantra is a sound (sometimes a word but not always) that is repeated during meditation. The sacred word “ohm” in Hinduism is one of the most important mantras. In the Western world, people often have “mantras” that they repeat to themselves, for example while exercising or preparing for a stressful performance. These short statements are like mottos, but they are defined by the actual practice of chanting, whereas a motto is not necessarily spoken out loud at all. Similarly, mottos lack the religious significance of Hindu and Buddhist mantras.